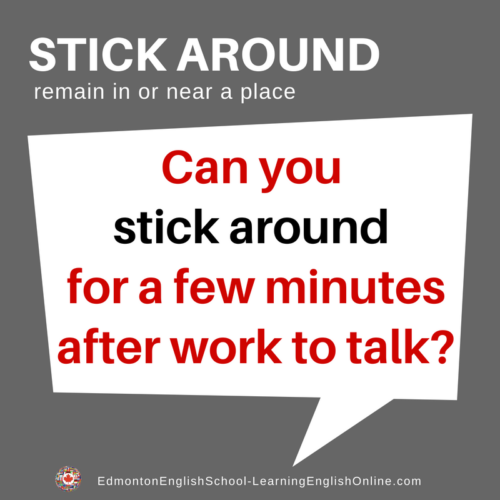 What is the Meaning of STICK AROUND? 1. I can only stick around for about ten minutes, and then I will need to leave. 2. Stick around for a bit. I am almost finished work. We can go for a bite to eat. 2. Can you stick around for a few minutes after the meeting? I have some thoughts on that proposal that I would like to run past you.